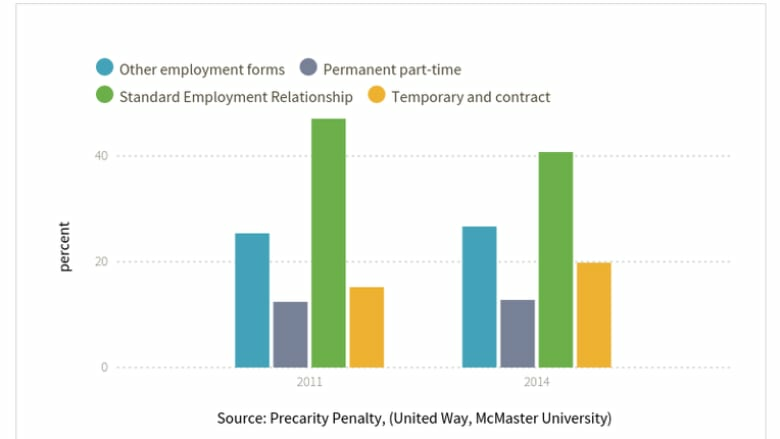 Hamilton's precarious employment problem is the worst in the North End and core, according to new stats released this week by McMaster University and the United Way in Toronto. A study pegs the share of Hamilton workers in precarious employment at nearly 60 per cent — leaving more than half the city in jobs that often have no security, benefits and regular scheduling. 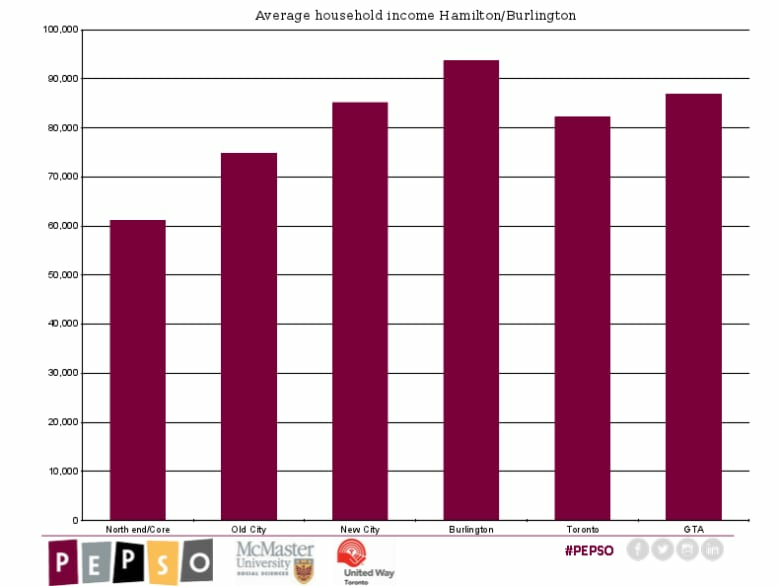 And the problem is the worst in Hamilton's North End and core, according to new stats released this week by McMaster University and the United Way in Toronto. The percentage of workers in full-time jobs with benefits is smallest in the centre of the city, compared to the east end, the Mountain and Burlington, the report shows. The overall study for the GTA and Hamilton came out last month. 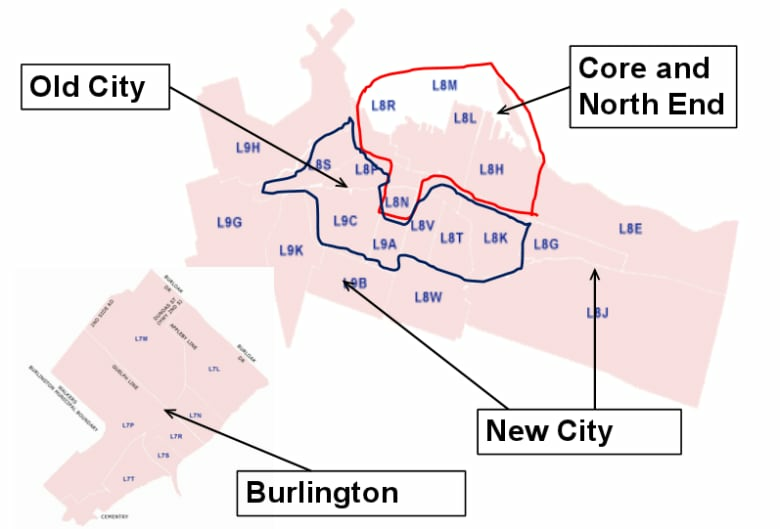 But McMaster University researcher Wayne Lewchuk released new breakdowns for Hamilton this week. And here are the graphs that show the trend outlined above. Lewchuk's Hamilton picture follows up the study released in May that showed that nearly 60 per cent of Hamilton workers are in some version of precarious employment, and the share has grown since 2011. Workers in precarious employment often experience unexpected changes in their work schedule and often don't know their work schedule a week in advance," the report states. That can impact workers' ability to enroll their kids in extracurricular or make social and family plans. "Workers in less secure employment, regardless of their household income, are twice as likely to report that uncertainty over work schedules has a negative effect on family life," the report said.